It is a place that predates British rule by several centuries; it was occupied by the Portuguese in 1523, which lasted until 1749, later falling into the hands of the British East India Company. 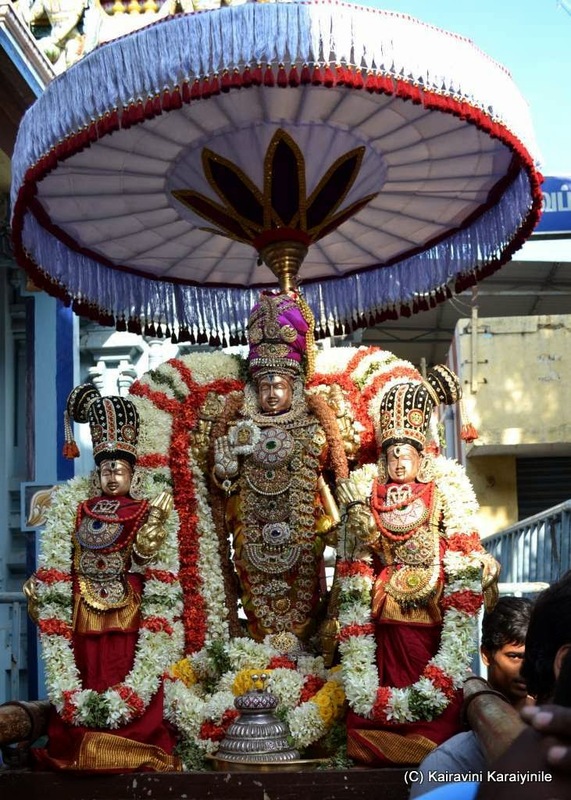 It is “Mylapore” [Thiru Mayilai], a cultural hub; one of the oldest residential parts of the city, also known as VEdapuri and Mayurapuri ~ today it was a grand Thiruther purappadu for Thirumayilai Sri Madhava Perumal. The annual brahmothsavam at Mylai Madhava Perumal Temple is on and today [13th May 2018 ] is day 7 and Thiruther. …… one could imagine smaller cars struggling in the bylanes here…. Yet the majestic thiruther grandly wound its way in the streets. Here are some photos taken this morning at Thirumayilai during the purappadu.